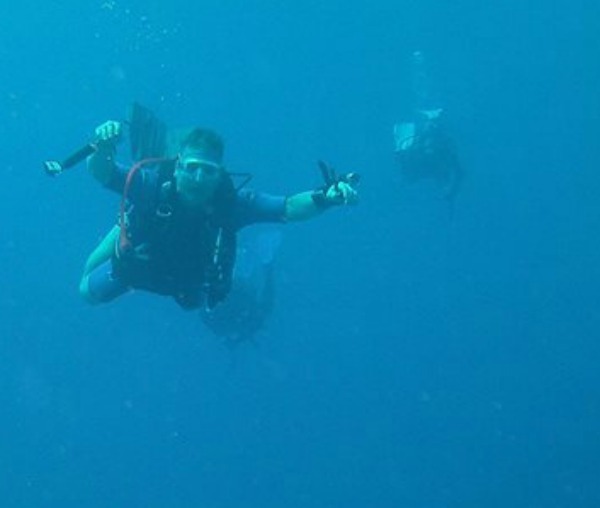 One of our Dive Family, died unexpectedly last week. We are all in shock here. Dave was only 49 years old and had no health problems of which we were aware. He leaves behind his wife and young son who is graduating high school this year. We will be going to the Funeral Home this afternoon to give our love and support to them and to all of us who will feel this loss each and every time we get together. Sunday we are taking our Little Angel Face and her Mama to see Shrek the Musical. It is showing at the Riverbank Theater in the small community of Marine City. It is a little known treasure that we have and cherish. Monday we are meeting Nicole and Pierre for dinner. They are not able to attend Easter Dinner so we are meeting up on the one night we are all free this week. Tuesday night we have our last choir practice before the Holy Triduum begins. Holy Thursday evening we will celebrate the last supper and the washing of the feet. Good Friday's service is at 1 pm and Holy Saturday we will celebrate Easter with the vigil Mass that begins after dusk at 9pm. Frank is singing on Easter Sunday at the 11:30 Mass but I will be home preparing dinner to be served at 5 pm. In between, we are coloring eggs with Little Miss on Tuesday and Thursday will be spent hitting the grocer, butcher and produce market. Of course, we still have to eat so I am sharing the Weekly Menu, such as it is during this busy week. Oh Wendy I am so sorry about your friend Dave! It is hard to lose those we love....family or friends! Sending prayers for you and for his family!